Google has set its stall out to commandeer 90 per cent of Office users from Microsoft. In an interview with AllThingsD, the company's head of enterprise Amit Singh says the Google Docs platform can grab the vast majority of Office users who don't use the more advanced functionality. He said: "In the last year, if you look at the depth of where we've gone with Docs, both in the core features and in the desktop fidelity, we've made tremendous progress. "Our goal is to get to the 90 percent of users who don't need to have the most advanced features of Office." Singh says the gap is decreasing between the features offered by cloud-based Document, Presentation and Spreadsheets packages and Microsoft's Word, PowerPoint and Excel software. He also said that June's purchase of QuickOffice will help Google fill the holes. He added: "Sheets does tables graphing, etc., out of the box. In Q3, if you import from Excel into Sheets, you won't be able to tell the difference in Sheets. "We know the gaps between our features and theirs. We're improving them week by week. We're going to get to the the 90 percent. If you need the last 10 percent, you'll want to use the desktop. The next thing is the import from PowerPoint to Slides. That's where QuickOffice is going to help us a lot." Microsoft will, of course, not go quietly into the night, with its SkyDrive platform now offering online access to its most popular programs. 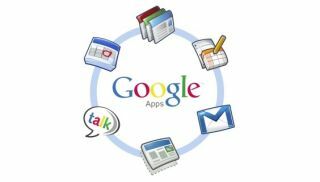 However, Google has positioned itself well in recent years to capitalise on users' increasing reliance on the cloud. If its Chrome OS platform ever takes off then it certainly will have a chance of cutting into Office's dominant market share.